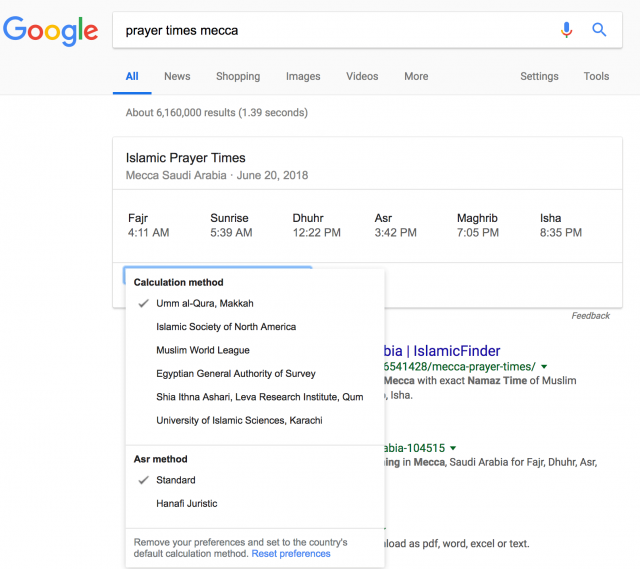 Gary Illyes from Google posted on Twitter about a new one box, smart answer, that Google launched for Islamic prayer times. 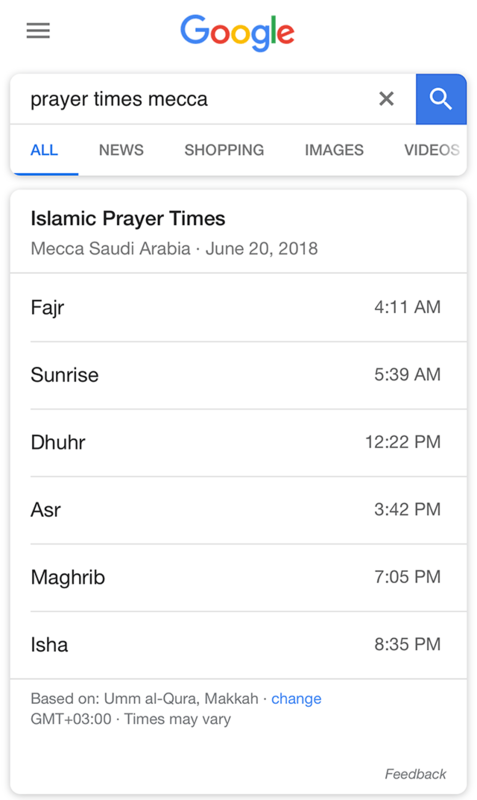 He showed an example for a query [prayer times mecca] and showed a screen shot of it showing Islamic prayer times for the day. The neat thing about this new version of prayer times is that you can change the calculation method. I know a little about this when it comes to Jewish prayer time laws and there are various calculation methods different people hold. I assume, based on this, it is similar in Islam. 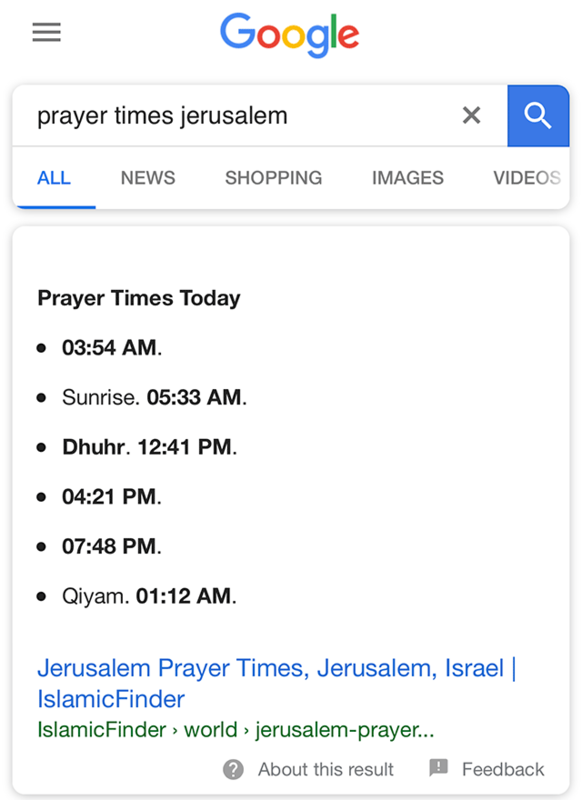 I should note, Google did have prayer time rich snippet markup back in the day that worked with both Islam and Judaism but removed support a year after launching it in 2012.